Proven through rigorous research to be effective with both teachers and students, Making Sense of SCIENCE (MSS) helps teachers gain a solid grasp of challenging science concepts, analyze effective teaching practices, and explore how literacy supports impact learning. 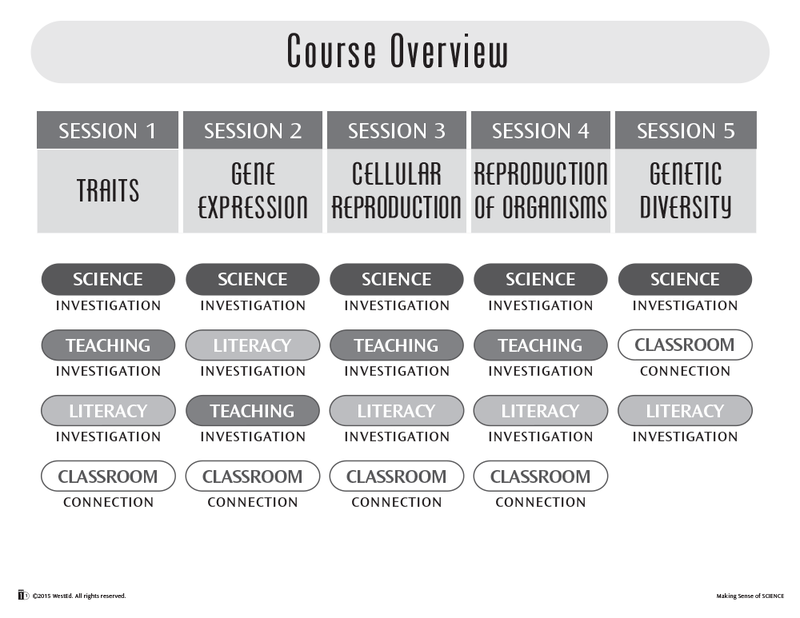 This set of single-use, 24″ x 32″ wall charts is used by facilitators to anchor discussions and provide a visual archive of teachers’ thinking in the Genes & Traits Teacher Course—a comprehensive professional learning institute for science teachers of grades 5–12 designed to deepen science understanding in the context of student learning. Teacher Courses empower teachers to educate students in ways that increase engagement, promote critical thinking and analysis, and ultimately improve achievement.